T J Maxx and Marshall’s: $25 Gift Card Giveaway! What happens when you make the decision to live within your means (or to cut back on spending to achieve your goals) and yet you still have expensive tastes? Are you doomed to a life of cheap clothes, cheap shoes, scratchy sheets and Dollar Store housewares? Not if you have a T.J. Maxx or Marshall's near you! I can sum up my love of these stores in one word: DaVinci Syrups, shoes, Ralph Lauren, shoes, Liz Clairborne, shoes, kitchen stuff, shoes, housewares, shoes, linens, shoes, children's clothes, shoes and toys (and shoes). Ok – that may have been more than one word, but that is because there are so many reasons to love these stores (and I may have a thing for shoes)! I've been a Marshall's and T J Maxx shopper for longer than I've been “Professionally Frugal”. It just made sense to sense to pay less for designer clothing if I could. And so before I headed to Macy's or Bloomingdales, I would stop at these stores to see what they had…and I always found something! When I got hooked on Vanilla Lattes but didn't want to pay coffeehouse prices? I found Sugar-free Davinci syrups for half the price of the supermarkets and coffeehouses and started making them at home! And, of course, there is the toy department. I have found countless books, toys and videos/DVDs for my children! To help you discover the wonder that is TJ Maxx and Marshalls, they have given me a $25 gift card to each and I'm giving them away! ENTRIES HAVE BEEN CLOSED. THANKS TO EVERYONE WHO ENTERED! This giveaway will remain open until Monday at 6:00pm EST at which time I will pick 2 winners and notify them. The first one to respond will get their choice of the two gift cards. The remaining one will go to the second winner! And while leaving a comment here won't enter you in the giveaway, it would be great if you let others know your favorite find at T J Maxx and Marshall's! I really love this post cause i never shopped at eitehr one of those stores and they are both near me. I’m going to go out later tonight to look for the sugar free syrups. I had weight loss surgery 6 months ago and i keep looking around for cheap sf syrups with no luck. so i’m excited and hope to find them tonight. I head to Marshalls and TJ for jeans and converse! Classic looks for a low price. My favorite thing to find at TJ Maxx is bras. I have a hard to find size and thus end up paying tons of money for them. Sometimes, I can stumble on my size (and brand) at TJ Maxx. What would be $65 at Nordstrom, I have found for as low as $5!!! Yup- Bra’s are a wonder at TJ MAXX. I also go there for winter coats – at the end of the season you can get great buys! Ross is great too… we love the discount stores! I have a Marshalls near me. I think they are really especially good for children’s (baby) books. I just bought two there the other night. 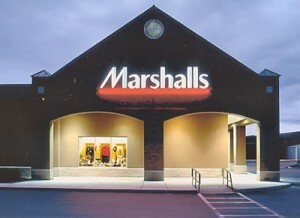 Love Marshalls for Polo Shirts and toys for my daughter! I found a great Michael Kors purse- over $300 off the dept. store prices. Almost every find is a good find at tjmax. I love their kitchen and bath products. And their clothes, man I could pay rent and live at the store. I love both of these stores. They have the best clothes. I love the DaVinci syrups! I love these store!!!! I am not allowed to go in the purse section if hubby is with my cause I never leave! I LOVE their shoes too!